According to the report, as many as 22 ministers out of 29 in the present government have criminal cases against them while in the grand alliance cabinet, 19 of total 28 ministers had cases registered against them. New Delhi: More than three-fourth of the ministers in Bihar's new government have criminal cases against them, higher than what it was in the previous grand alliance cabinet, a report by the Association for Democratic Reforms (ADR) stated. The report was prepared after an analysis of the self- sworn affidavits of the 29 ministers including the Chief Minister by the Bihar Election Watch and ADR. It stated, out of the 22 ministers who have declared to have criminal cases, nine have declared to have serious criminal cases against themselves. While nine ministers have declared their educational qualification to be between class 8 and 12 pass, 18 are graduates or have higher degrees. Also, there is only one woman minister in the new cabinet compared to two in the last one, the report stated. However, the number of crorepatis in the new Nitish Kumar-led cabinet has come down marginally to 21 from 22 in the previous one. The average assets of 29 ministers is Rs 2.46 crore, the report said. On July 26, JD(U) chief Nitish Kumar had resigned as the Chief Minister of Bihar, ending the two-year-old alliance with the Lalu Prasad-led RJD, but hours later joined hands with the BJP to reclaim the government. 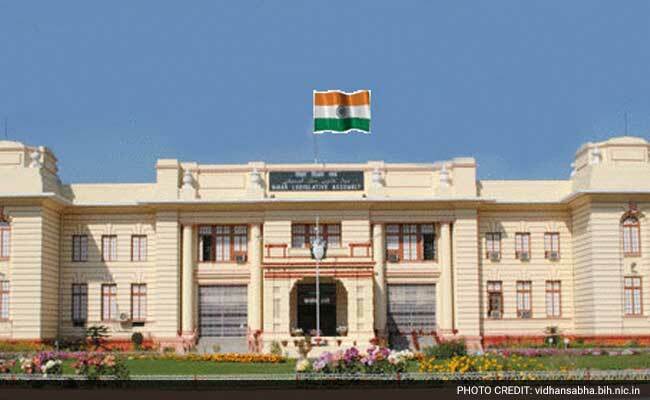 Mr Kumar was again sworn in as the chief minister the next day with BJP's Sushil Kumar Modi as his deputy.